I love this size of beads!! 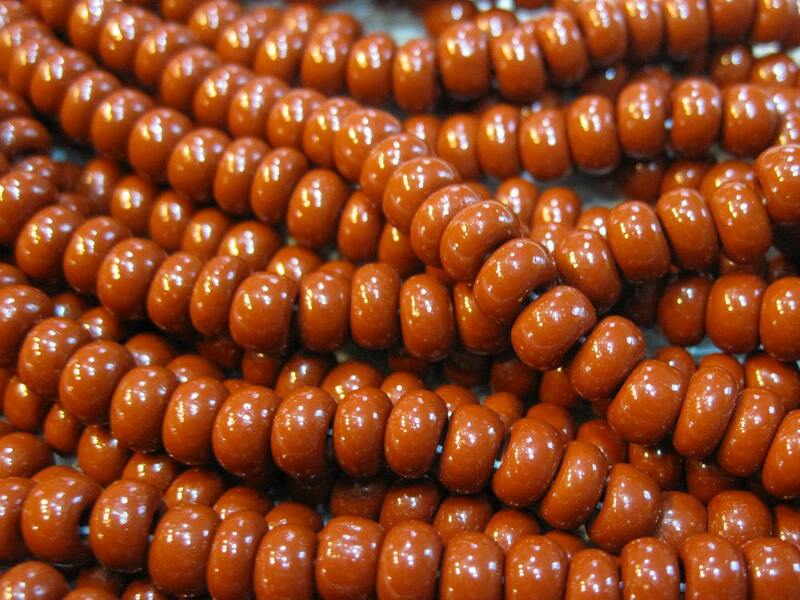 Opaque brown 1/0 Czech glass seed beads. Size 1/0 beads measure between 6 and 6.5mm in diameter. There are about 5-6 beads per inch. You will receive one strand of beads (approx. 105 to 115 beads) - around 30 grams with a hole size of 2mm (hole size varies somewhat and could be a little less than 2mm). There are plenty of beads for your beading, knitting, crochet, macrame, fiber arts projects! These are so wonderful with macrame designs! Bought these beads in four different colors, beautiful!! Really great beads, nice packaging and fast delivery. I'll defiantly order again. LouAnn was so gracious in answering my many questions about what kind of beads I could use with the rattail satin. She recommended these and they are very nice and work perfectly. She was even kind enough to send along some free samples of other types of beads that would work for me. Thank you! I am picky about the colors I use in seed beads, and love the colors I find here. Thank you! !